Pittsburg, Calif. – CLP Motorsports, winners of the 25-Hours of Thunderhill in their 2015 team debut in the NP01 Prototype Class, announced their impressive all-star driver line up for the 2016 NASA 25 Hours of Thunderhill today. The race, to be held December 2-4 in Willows, CA, is the longest endurance road race in North America. The CLP team includes 7-time 25 Hours of Thunderhill winner Tyler McQuarrie; national champion, world record holder & TV host, Tanner Foust; 2016 Petit LeMans winner Marc Miller; 2016 winner class A-6-AM of the 24 Hour Barcelona Tom Dyer and veteran racer/owner Pat O’Keefe, whose CLP Motorsports team won and set the bar for the all-new NP01 Prototype Class at Thunderhill last year. 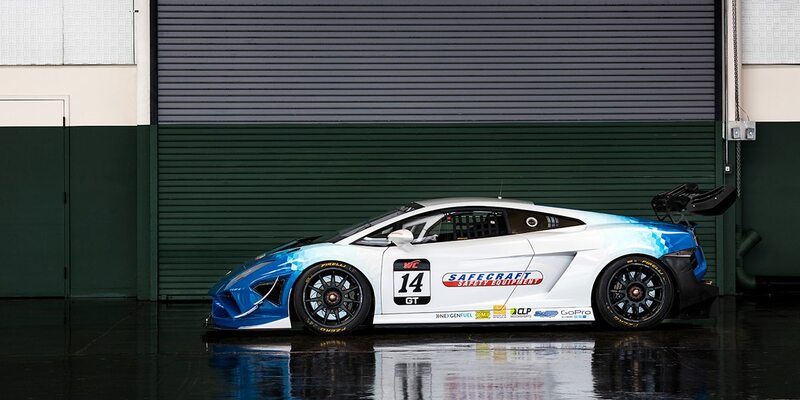 The team will go for a victory repeat in the ES Class with CLP Motorsports’ new Lamborghini Gallardo Super Trofeo. Think back to the early era of Trans Am, when Camaros were running down the best on the road courses of North America. Nowadays, Trans Am race cars are very modern, tube-chassis cars. However, what if we could take the classic ‘60s style that we love and modernize it underneath to make what could have been the ultimate Trans Am Camaro? You’re pretty much describing the CLP Motorsports ’67 Camaro driven by Pat O’Keefe. Safecraft Commemorates Team Performance with Dedication of Raceway Bridge. CLP Motorsports is the premier, full-service performance facility in Northern California. Our team specializes in road racing, track attack, drifting, autocross and high- performance street cars. We offer our customers a wide array of services including performance maintenance, product installation, fabrication, full-service builds, race car setup, product development, part sales, driver coaching, arrive and drive services and more. ©2014-2018 CLP Motorsports, LLC. All rights reserved.